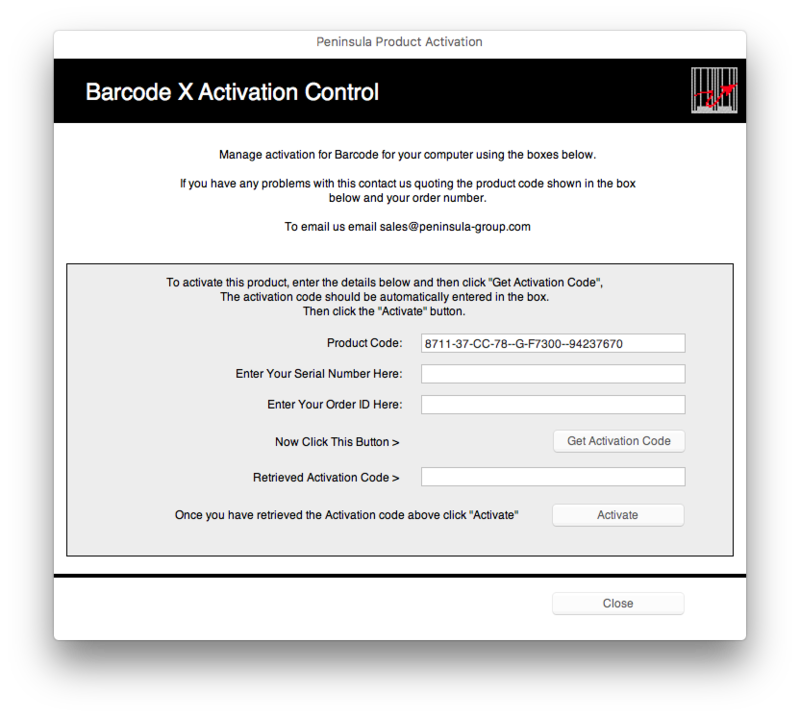 Below you will find a tutorial teaching you how to activate your Barcode X Application. 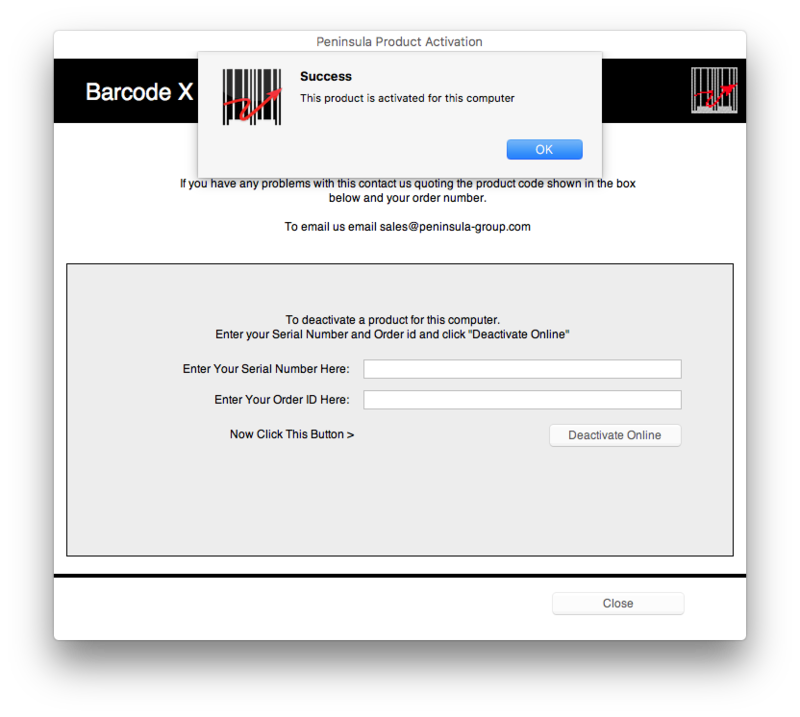 Once you have installed the Barcode X Application, open up the software. When the software is open the above dialog will show. Enter your serial number and order ID into the correct fields, and press the get Activation code button. 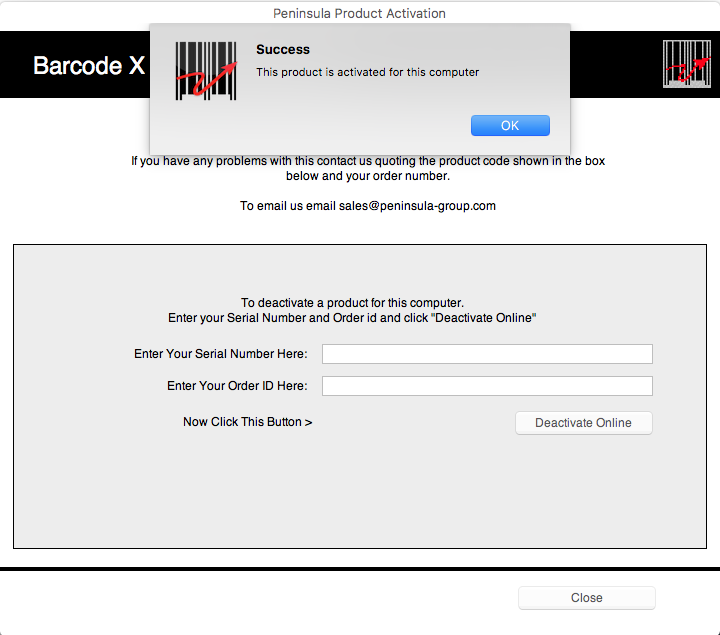 You will have received these in an email from Peninsula group when you purchase the Barcode X Application. Once you press the "Get Activation code" button, your code will be generated in the correct field. 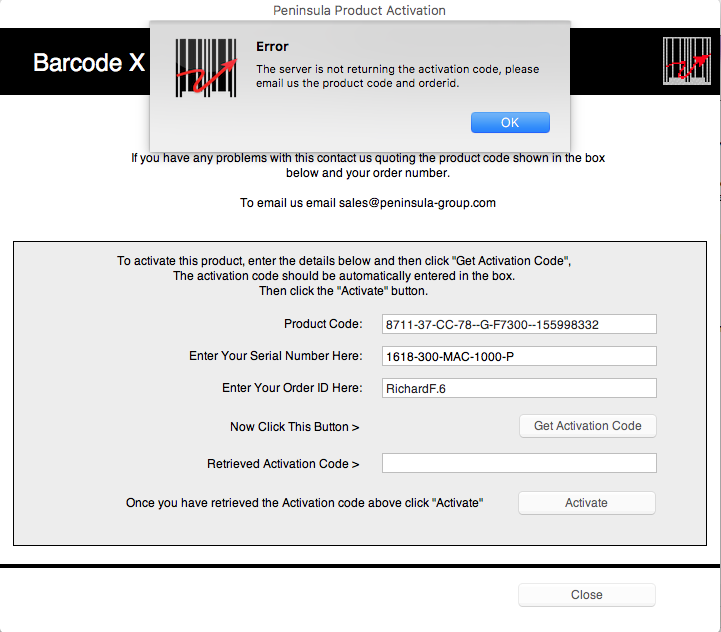 You may then press the Activate button, to Activate your software. if not please follow the next step. 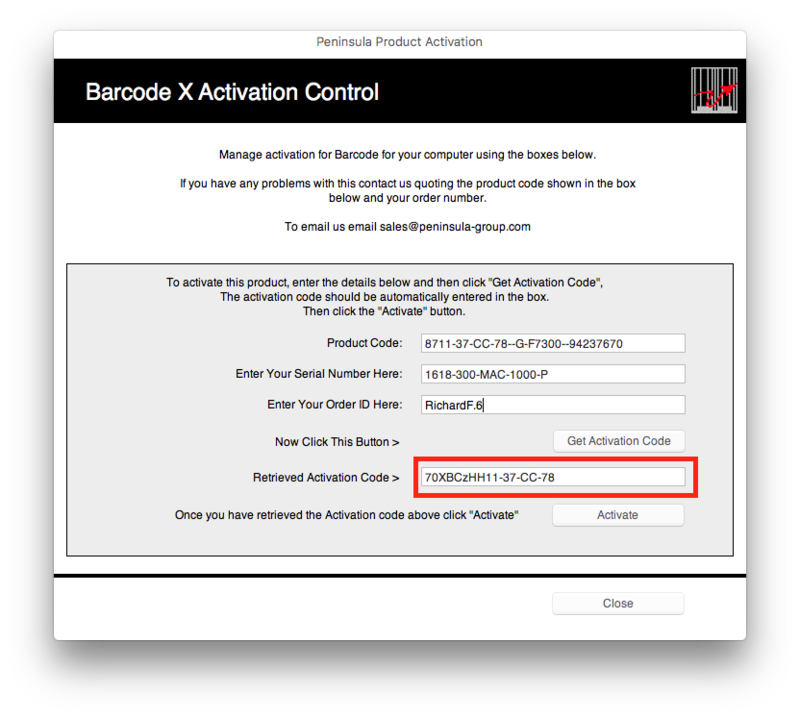 Enter your Activation code into the correct field and click the Activate button. 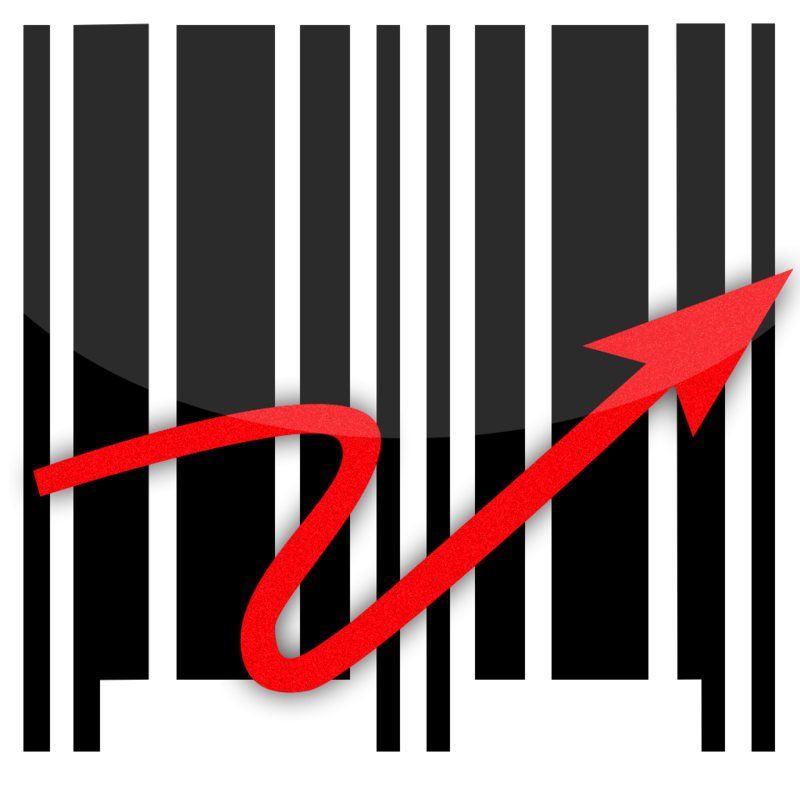 If your Software has successfully Activated, a small dialog will open.